Which? has surveyed more than 2,000 sewing machine owners to find out which brand is best – and the results are now in. We asked Which? members to rate their sewing machine on everything from ease of use and build quality to value for money and durability. From the results, we’ve rated all the big names in sewing machines – from traditional brands such as Singer to John Lewis and mass-market manufacturers Brother and Janome. Janome and Brother were the most commonly owned brands among the owners we surveyed, but did they also come out top for customer satisfaction? 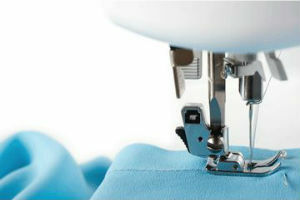 Find out full results in our sewing machine brands review. The results show that the biggest difference between brands comes down to build quality. An incredible 100% of one brand’s customers rated the build quality of their sewing machine as excellent or good, while almost a fifth (18%) of another brand’s customers rated build quality as fair, poor or very poor. Many respondents told us they owned family heirlooms that were still going strong after decades of use. Some sewing machines had ‘stitched for miles’ and produced wedding dresses and baby clothes for several generations. While that’s a good sign, only the responses from those who had owned their sewing machine for less than 11 years have been used to calculate each brand’s final score. Our results show that there’s a big difference in the price of sewing machines from the brands we covered. On average, Bernina customers paid £713 for their sewing machine – that’s almost four times the average spend of Singer’s customers (£188). But do you get what you pay for when it comes to sewing machines, and does a cheaper sewing machine represent good value for money? Read our best sewing machine brands review to find out. The vast majority of respondents (84%) use mechanical sewing machines. Only 14% have a computerised machine and just 1% own an overlocker. If you’re thinking about buying your first sewing machine – or are ready to upgrade to a new one – our guide on how to buy the best sewing machine explains the pros and cons of different types of machine. You’ll also find tips and advice on what to look for before you part with your cash. You can find out more about each of the brands covered in our survey – including overall customer scores and ratings for the ease of use, build quality, portability, durability and value for money of their sewing machines – in our brand review pages (listed below). Each page also contains information about the sewing machine brand, comments from owners and examples of the models and ranges on offer.